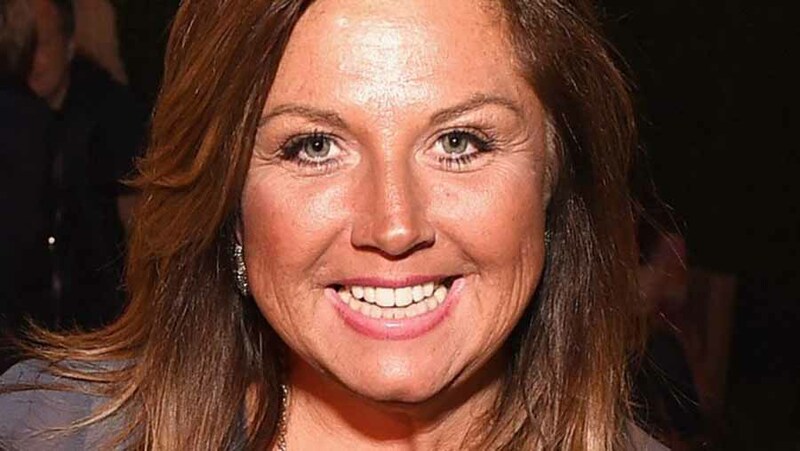 Abby Lee Miller, the Dance Moms’ coach, was diagnosed with non-Hodgkin’s lymphoma earlier this week. She was hospitalized, and almost died, due to what was thought a severe spinal infection, a thyroid condition, on April 10th. Dr. Hooman M. Melamed, Miller’s orthopedic surgeon, explained that his patient felt excruciating neck pain, so she had to be rushed to the hospital where her condition became worse very quickly. The doctor also expressed he was shocked when he saw that not only Miller’s pain, but also her weakness, got severely worst. In a short span of only 24 hours, the dance coach condition deteriorated to the point in which she was completely paralyzed from the neck down, something Dr. Melamed had never seen before. Nevertheless, bad news came for Abby after the surgery, who was diagnosed just a week later with a type of cancer that develops in her lymphatic system. Dr. Melamed explained she did not have an infection as he had thought just some days ago. Abby was being treated in the hospital where Dr. Melamed works, and its team was planning to transfer her to another hospital. However, they decided not to do it since the dance coach’s state of health was poor. She could even die before they even got the chance to get there. Dr. Melamed and his team ran a CT scan and saw something that appeared as if the cause of all the issues was an infection, which had spread from the bottom of her neck to the lower part of her back. It was something, that according to the orthopedic surgeon, was very unusual. The surgery was performed on Tuesday, April 17. During this procedure, Abby had the back part of several vertebrae removed to relieve all of the pressure on her spinal cord. Dr. Melamed explained that they needed to do something because, otherwise, the trainer would die. He claimed that Abby’s blood pressure was “bottoming out” and that her condition was not good. Days later, the coach was already able to move her arms and recover the feeling in certain parts of her body. Still, Dr. Melamed claimed that only her recovery process would determine if she would even be able to walk again. “She’s made some recovery in 24 hours, which is better than no recovery. Nobody wants to end up thinking they’re going to be paralyzed for the rest of their life…I am hopeful… We hope to start mobilizing her, start thinking about the rehab, start pushing the body, pushing the brain and spinal cord for making recovery,” Dr. Melamed said. He also said that she had a lot of more movement in her arms, legs, and toes – which, according to the doctor, was a good sign. Still, even though an optimistic outcome is on the horizon, Abby will require another spinal surgery. The doctors performed more pathology tests, but the results are still pending. That same Thursday, Jojo Siwa – 14 years old, a former student of Abby Lee – visited her in the hospital. When she was asked about her feelings on the subject, on observing her beloved former coach in that condition, she explained that it was heartbreaking and that it was “very sad.” The young dancer considered that seeing someone who’s not at their best could represent nothing but sadness. Nevertheless, she claimed they would visit her the following day, or maybe the next week. Abby Lee has been serving her jail penalty at a halfway house. The coach was sentenced to a year in jail on charges of bankruptcy fraud, and for taking $120,000 worth of Australian currency into the country without reporting it. She was also ordered to pay a $40,000 fine and spent two years on probation after her release. The coach pleaded guilty. She was being taken to the hospital for treatment, and it was the second time Abby had been transported to an LA hospital in less than 24 hours to treat what was diagnosed as an “unspecified medical complaint.” It was later diagnosed as hypothyroidism. After Abby left the Residential Reentry Center, she was spotted looking ill and tired. Doctors back then did not think it would be such a complicated condition. Still, they knew what kind of pain Abby was in. The dance coach awaits her next surgery, as doctors now hop to give her an optimistic outcome.